How long does it take you to forecast again when interest rates change? Can you easily segment net interest margins by products? Hear how high-growth companies like Zipcar and Adaptive Insights have set up their financial models and KPI dashboards to help their organisations scale effectively. Inadequate financial transparency and accountability can cause havoc for your organisation and negatively impact the causes you serve. Given all this, what can you do to ensure you comply with accounting standards and preserve the trust of your board, employees, and donors? Balancing patient care with managing your costs and margins requires you to regularly plan, model, and report on your changing business. But using Excel to manage these variables is slow, inefficient, and unsustainable. How can you spot the symptoms of an inefficient process? How accurate is your revenue forecast? Is everyone in the organisation aligned on what it’ll take to get there? What about when assumptions or inputs need to change? Tired of comparing your actuals to an outdated budget? Want to learn a better way to forecast that doesn’t feel like a hurricane of chaos? Join this webinar to hear how high-growth SaaS companies like Domo and Adaptive Insights have set up their financial models and KPI dashboards to help their organisations scale effectively. How do you know that the budgeting, forecasting and reporting processes you have in place are serving your business needs? Is everyone in the organisation aligned on the big picture? Is it easy to collaborate? Are your teams and tools nimble enough to make adjustments on the fly? Does something need to change? How do you know that the budgeting, forecasting and reporting processes you have in place are serving your mission? Is everyone in the organisation aligned on the big picture? Is it easy to collaborate? Are your teams and tools nimble enough to make adjustments on the fly? Does something need to change? Being the first half of the year now is a great time for you to look around and assess what processes are working and not working, especially around year-end close. Applying these observations can help you alleviate pain points, negotiate pitfalls, and be better prepared for your next year-end close. In today’s finance world, forecasting feels like a siloed effort, where you are constantly dealing with multiple sources of truth, causing a lack of confidence in your numbers and yourself. For the finance departments of many nonprofit organisations, forecasting feels like a siloed effort, where you are constantly dealing with multiple sources of truth, causing a lack of transparency and confidence in your numbers. As big data technology evolves, it's transforming not only how leaders make business decisions, but those leaders very roles. The rise of "big data" creates new imperatives for today's corporate leaders. Are you ready to get more from your NetSuite investment? More than 700 NetSuite customers have partnered with Adaptive Insights to improve their planning and forecasting efforts. To plan for the future, organisations need to understand the present - both what is going on, and why. But gaining visibility into the information needed to accurately forecast can be a difficult task. Watch this webcast to learn how organisations are overcoming these challenges. To grow a SaaS business in a fast-moving market demands that sales finance become metrics-driven and use industry benchmarks to evaluate their own sales team performance. But gaining visibility into the performance of other SaaS companies is not easy. Watch this programme to see how companies get the information they need to compete. As a SaaS company ourselves, we know what it's like being on a SaaS finance team; it's an exercise in moving fast and staying nimble to keep pace in a dynamic marketplace. Listen in as Jeff Epstein, Operating Partner at Bessemer Venture Partners and former CFO of several public and private companies, discuss the questions that can help CFOs be more effective leaders. With rising demands for data in growing businesses, CFOs need to consider a new approach to reporting that frees up their finance team’s time to engage in more strategic-tasks. You know it’s coming—that dreaded request for yet another corporate report. And it can sometimes feel like you are simply going through the motions, methodically generating report after report, serving up numbers that the board, top management, business unit VPs, and others need to understand the health of the organisation. With the rising demand for reports, CFOs will need to consider better approaches to reporting; ones that enable finance teams to engage in more strategic tasks. Deadlines around the new revenue recognition changes (ASC 606/IFRS 15) are fast approaching—and many questions about potential impacts and how to prepare for them still remain. As a finance leader in a non-profit organisation, your job is to convey the financial state of the business. However, your Board of Directors is looking for more than just numbers; they want to understand the impact and implications of the data you present. Being the beginning of the year, now is a great time for you to look around and assess what reporting processes are working and not working for your nonprofit organisation. Applying these observations can help you alleviate pain points, negotiate pitfalls, and be better prepared for your next monthly reporting cycle. Do you want FP&A and Accounting to play nice in the sandbox? Do you find you’re often comparing numbers in your data to ensure everything ties together? FP&A wants real-time data from Accounting. Accounting wants more time from FP&A to finalise the numbers. Sound familiar? Learn how top finance teams in higher education elevate performance and operational efficiency by focusing on core metrics. Real-time visibility into performance and KPIs across FOAPAL dimensions are critical, as is harnessing the power of self-service analytics and dashboards to keep everyone in-the-know. If you and your team are forced to spend countless hours consolidating data from multiple sources, you may have little time left for the analysis that could help you tell a compelling story. Struggling with budgeting, forecasting, and reporting for multilple service lines for your association members? You’re not alone. The good news is there’s a better way: active planning. In a recent study, 75% of finance professionals felt that their approach to budgeting had value, but there was room for improvement. Learn how identifying and eliminating the issues that waste time and energy can streamline your planning process. Kicking off your 2018 annual budget process soon? Make sure you’ve got access to the SaaS industry benchmark data you need to help business owners set targets and answer the board’s questions about how your performance compares to peers. Being the beginning of the year, now is a great time for you to look around and assess what processes are working and not working, especially around year-end close. Applying these observations can help you alleviate pain points, negotiate pitfalls, and be better prepared for your next year-end close. Move beyond your day-to-day tasks of budgeting, forecasting, and reporting to more high impact activities and processes. Do you find you’re often comparing numbers in your data to ensure everything ties together? Join this webinar to hear a peer-to-peer discussion between FP&A and Accounting. With rising demand for reports, CFOs will need to reconsider new approaches to reporting that presents a more in-depth view of data to their stakeholders. Conveying the financial state of the business to the Board is more than just numbers; they want to understand the impact and implications of the data you present. Non-financial information (like up-time, marketing lead volume, or customer satisfaction scores) can have a material impact on the accuracy of an organisation's budget. The art of translating non-financial information into budgets can be challenging if the right KPIs and tools to track them aren’t in place. As a finance professional, your job is to convey the financial state of the business. But more than that, you need to be able to see past the data and tell the story behind the numbers. If you and your team spend hours extracting, manipulating, validating, and formatting data from multiple sources, you’re not alone. CFOs have stated that their teams spend 30% of their time on reporting and expect the total volume of reports to increase (over the next year). Learn how to shave two days from the monthly close process through integration and automation. These best practices will also reduce manual work to boost data accuracy, deliver reports to stakeholders faster than ever, and improve control and compliance with audit tracking. For many finance professionals, reporting is an exercise in frustration. Join this webinar to learn the components of reports and analysis that your business partners will value and use. Rev up your BPM with these actionable, insider strategies to bring analytical insights front and center. Learn tips for frequent, agile planning that quickens decision-making, improves management reporting, and better aligns functions through collaborative processes. Another month, another report. Gathering data manually from multiple systems, wrestling with huge & error-prone spreadsheets and investigating plan variances all cost time, resources and caffeine. Throw in ad-hoc requests from line managers and it may seem like there’s no light at the end of the tunnel. The game continues to change for CFOs. Gone are the days of simply calculating and reporting financial numbers. To accurately measure and forecast corporate performance, today's CFOs must now manage information and data from across the business. Spending countless days and nights building the annual budget can be a frusterating process. Especially when you know it may be obsolete by the end of the next quarter. Watch this webcast to learn how to overcome the endless cycles of your budget process and start moving towards an active plan. Companies often spend weeks or months developing an annual plan or budget, but by the time they're finished, the market has changed and the budget has become obsolete. There's a better way; rolling forecasts. Join us for an informative webinar to learn steps you can take to prevent mistakes and improve the time-consuming process of financial reporting. Join Adaptive Insights to learn best practices for turning raw performance data into intuitive KPI dashboards. In this webinar, we will share best practices from other companies who have successfully streamlined their board reporting and increased productivity. Discover 3 steps to free up your resources, automate data collection from multiple sources, and add value through business analytics. Get actionable tips that savvy, forward-thinking finance organizations use to improve performance and drive faster decision-making. A performance management solution with dynamic capabilities, such as self-service reporting, frees up workload, generates insightful data, and enables quick decision-making with greater confidence. Find out how leading finance organizations made the leap from spreadsheets, accelerated their planning and reporting cycles, and drove better decision-making. Spreadsheets often put data accuracy at risk and require more time to distribute. If your organization is over-reliant on spreadsheets, it’s time to make a change. Get a step-by-step guide to defining the right set of key performance indicators that influence business decisions. Technology makes it easy to identify useful analytics—based on historical data, forecast alignment, stakeholders, and more—that make the greatest impact on business performance. Improve your forecasting skills with a handful of tips from the Beyond Budgeting Round Table. Increase partner collaboration, stakeholder communication, and data-driven confidence to seize highest-ROI opportunities. Plus, see how to gain greater agility and accuracy by automatically rolling out forecast changes. Discover how to efficiently and accurately turn data into insights. In other words, spend less time fighting fires and more time on strategy. Best-in-class accounting and finance teams capitalize on automated processes that reduce the planning cycle by as much as 75%, improve productivity, and raise visibility into key metrics. Jeanne Urich, managing director at ServicePerformance Insight, outlines how to rate the service performance of your organization and move it along the maturity curve of the Planning and Budgeting Maturity Model™. Identify growth-spurring KPIs, ways to improve your planning process, and how to slice cycle times by 70%. Gain actionable tips for developing accurate and dynamic forecasts that align with changing customer needs. Experts from Adaptive Insights share examples from best-in-class organizations that capitalize on emerging trends by adopting newer, more flexible approaches in forecasting. Dave Brasnick, solutions specialist at Adaptive Insights, discusses how Adaptive software improves budget collaboration within an organization. Dashboards drive decision-making, automation ensures data consistency, and the intuitive software interface enables self-service reporting among users. Gain actionable blueprints for building your financial planning and reporting in the cloud. Real-world case studies illustrate the tangible benefits, such as faster deployment of other applications and lower total cost of ownership, after companies moved their financial processes to the cloud. Explore ways to make financial processes more strategic — such as seamlessly integrating multiple sources and slashing time spent on budgets—and tips to reduce dependency on spreadsheets. Business service finance leaders like retailer CORT have been able to successfully leap from spreadsheets and drive tangible benefits. Discover the tangible benefits of reducing dependency on spreadsheets in a higher education environment. In the modern landscape, finance leaders take on a more strategic role and require dynamic reporting, planning and budgeting capabilities across multiple dimensions, such as enrollment, student retention, or grant sources. Discover best practices for managing financial processes in nonprofit organizations. Adaptive Insights' software empowers nonprofits with dynamic reporting across multiple dimensions. After it reduced its dependency on spreadsheets, Goodwill reduced the time spent on financial processes and accelerated its decision-making. Learn how to reinvent FP&A processes to give finance more leeway for strategic analysis. Papyrus cut ties with spreadsheets, which enabled the finance team to slash time spent on budgeting, planning, and analysis; provide valuable insights into sales; step up decision-making; and enhance visibility into operations. Gain actionable tips that eliminate errors due to manual consolidations, and drive better collaboration with stakeholders in higher education institutions. Barry University in Miami, FL, transformed its budgeting with Adaptive Insights software and achieved greater speed, accuracy, and control in its processes. Learn how to reimagine the budgeting process with these real-world examples of finance managing data with greater speed, more flexibility, and better control. Tips and techniques to tighten collaboration with other business units and gain more accuracy are also on tap. Learn more about the FP&A best practices for Biotechnology and Pharmaceutical organisations. Get access to best practices for reducing dependency on spreadsheets and accelerating financial planning processes in government institutions. Learn how efficiently planning various funding scenarios based on economic conditions helps finance leaders in government organizations achieve more in less time. Learn tips to give finance teams breathing room to generate strategic business insights and drive profitable investment decisions. The right approaches can shave 50% off planning cycle times, create robust and configurable revenues models to forecast bookings, and leverage self-service reports and dashboards for maximum value. Find out how Adaptive Insights maximizes its own technology to accomplish business performance goals. Founder and Chairman Rob Hull shares the overall architecture of Adaptive’s business model and how each department is using Adaptive to manage processes and performance. Explore how report and dashboard automation reduces workload, generates insightful data, and accelerates decision-making with greater confidence. Steve Player, director of the Beyond Budgeting Round Table, and an Adaptive demo illustrate how to spend less time on reports and more time on analytics that drive decision-making. Get access to budgeting and forecasting best practices that draw out key insights and drive decision-making. An Adaptive software demonstration shows how to automate sophisticated dashboards, integrate reports in real time, and enable budget collaborators with self-service reporting capabilities without relying on IT support. Discover innovations in finance technology that supercharge productivity. Demos from real-world successes make a strong case for automating reporting tasks to attain greater data integrity and realize significant time savings. Learn why it’s never too late for higher education institutions to improve and change budget processes, even when wrapping up the fiscal year. Dynamic reporting capabilities—such as detailed analysis by funds, programs, and more—deliver an immediate return on investment and continue the savings for years. Learn about the causes of the most common budget “games” that prevent value-added reporting and apply proven best practices to avoid them. Actionable tips to take back to your organization include ways to spot and resolve common budgeting “games,” reduce the budget cycle time by 75%, and improve the quality of the budget. Learn the key performance indicators that provide insights, improve utilization, and drive profitability for professional services companies. Operational insights and a system that integrates multiple data sources helps drive more agile budgets and plans, which ultimately help to make better business decisions. Join Robert S. Hull, veteran CFO and founder of Adaptive Insights, as he shares the quintessential rules of modern FP&A in this interactive webinar. You’ll leave with an actionable roadmap to increase business engagement, deliver trustworthy results, and increase profitability. Discover how companies create a robust link between their enterprise resource planning (ERP) system and planning processes. Microsoft Dynamics ERP customers GDF Suez North America and Goodwill Industries run Adaptive Planning to complement and extend their analytics, planning, and reporting capabilities. Take advantage of top trends impacting financial performance management by using the latest technology tools. Paul Hamerman, vice president and principal analyst at Forrester Research Inc., shares how key trends in cloud, mobile, and analytics are pushing CFOs to be more strategic in the coming year. Discover how business analytics and cloud computing help organizations take a modern approach to planning and budgeting. 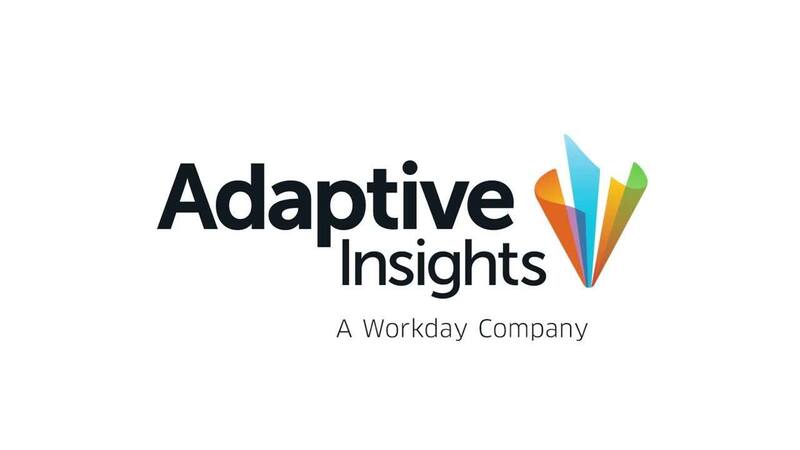 Leading companies revolutionized their reporting processes through automation and real-time data accessibility in Adaptive Insights' software. Learn why manufacturers need a corporate performance management solution to thrive in a changing landscape. Cindy Jutras, president of Mint Jutras, discusses the complex issues facing manufacturers, the value of a financial performance solution in a manufacturing environment, and best practices when deploying new technology. Learn how finance executives leverage key data for decision-making. Glen Moore, vice president of engine management finance at Standard Motor Products, shares how the company replaced their spreadsheet process with Adaptive Planning, which improved margins, reduced manufacturing costs, and boosted collaboration across the globe. Get an overview of Adaptive Planning in a presentation conducted at the 2015 Adaptive Live conference. For companies that desire smarter planning and forecasting, Adaptive Planning helps improve FP&A processes, including the financial close, manager engagement, and more. Know what to look for when it comes to evaluating an analytics and performance management solution, and understand the top trends and challenges facing finance professionals. A cloud-based platform and the ability to connect across systems are among the features of a high-performing management solution. Know the key questions to ask and what to look for when evaluating an analytics and performance management solution. Companies are expecting their finance leaders to deliver strategic insights. Make sure your finance technology solution empowers finance professionals by effectively managing the whole financial process. Explore how to create a strong revenue model to predict business performance and elevate the finance role in the eyes of business leaders. With an accurate, flexible model, it’s easier to identify trends and issues, guide investment decisions, and exert control over critical targets like profit margins and revenue per FTE. Discover ways to mine data for “hidden gems.” In other words, obtain strategic insight into opportunities and trends through real-time data. Business intelligence and analytics tools like dashboards help companies visualize important KPIs with the information already on hand. Get tips for visualizing important KPIs with data on hand—without all the manual, time-consuming work. Finance teams can deliver key insights to company leaders by automating sophisticated tasks, customizing reports and dashboards, and analyzing real-time data in a central source. Join guest speaker John Dunican, head of CFO Advisory Services for Armanino, the largest independent accounting and business consulting firm, as he discusses the 7 costliest management reporting mistakes and shares actionable tips on how to avoid them. Get straight talk on how to automate your accounting and finance processes in the cloud for optimal results. Greater data insights with less hands-on effort is just one of cloud computing’s big draws. See how organizations taking the leap also reap more time—and more money—to spend on other business priorities. Get tips on evaluating cloud-based solutions and determining the right one for your business. Adaptive experts shed light on the transformational benefits achieved by Adaptive Insights' customers, and bust common misconceptions about adopting cloud-based solutions as a planning and business intelligence solution. Adopt the methods of Standard Motor Products, whose finance team leveraged Adaptive Planning to customize dashboards, integrate financial and operational data in reports with drill-down capabilities (without IT help), and make FX and labor rate impacts to margins readily visible. See how to leave spreadsheets behind in favor of robust planning and analysis processes and tools. With rolling forecasts and scenario analysis, reports and dashboards with drill-down and what-if capabilities, data works harder—freeing up time for strategic analysis that enables quick action on critical opportunities. Discover best practices for improving the budgeting and forecasting process as highlighted by Cliff Marnick, vice president of finance at Jones Lang LaSalle, a professional services and investment management firm with annual fee revenue of $4.7 billion. Gain a critical understanding of the core KPIs savvy finance teams in retail and wholesale use to extract keen insights from data. Knowing the metrics, their drivers, and why they matter enables agility to improve profitability and margins, and aids in slashing planning and reporting cycles by 70%. Discover the key performance indicators (KPIs) and performance measures finance leaders in manufacturing use to make data-driven decisions. Manufacturing finance teams heavily rely on a core set of key metrics that provide deeper levels of insights and fuel informed decision-making and efficient processes. Learn about key metrics that improve operational efficiency and fund management in nonprofit organizations. Savvy finance teams at nonprofits enable data-driven decision-making by relying on core analytics that span across dimensions, such as grants, programs, and funds. Learn how industry leaders streamline board reporting and boost productivity. Tips show ways to free up resources, centralize data and automate data collection from multiple sources, and add value through business analytics. Also, gain insights to increase efficiency and cut reporting times by 50%. Discover the top five reasons companies move beyond spreadsheets and gain peer-tested methods to streamline financial processes for accuracy and efficiency. Ditching manual consolidation and driving better engagement through improved workflow allow finance teams to truly excel, with more time to focus on business analysis. Brian Sommer, TechVentive CEO and ZDNet contributor, explains how progressive CFOs complement consolidation and reporting technologies to realize efficiencies across the board, from speeding up the close, to tracking entries across all users to maintain compliance, to churning out reports easily from a single source of truth. Learn how to fuel growth and productivity with data from highly successful manufacturers. Tips include better ways to drill down into data, deliver key insights that allow for timely and informed decisions, and answer questions about profitability and margins, even as variables change. Access best practices and design recommendations that optimise your Adaptive Planning model for robust profitability planning, reporting, and analysis across any dimension in your organisation. Discover tips and tricks to help generate forecasts that more accurately project future business results, and see how leading companies save time and increase accuracy by eliminating forecasting errors and streamlining planning processes. Discover best practices that improve planning, reporting, and budgeting processes in institutions of higher education. Colleges have shifted focus to financial sustainability and efficiency; an Adaptive Insights product demo demonstrates how to transform planning and reporting processes to better address emerging challenges. Learn key measures that drive financial success of healthcare organizations. Navigating a changing healthcare landscape requires financial visibility and data-driven insights. An Adaptive software demonstration shows how healthcare organizations tap into key financial metrics and apply them towards growth and profitability. Gain access to key metrics, best practices, and peer benchmarks that capitalize on emerging trends, drive growth, and edge out technology competitors. Whether tracking recurring revenues, subscriber numbers, or growth rates, technology companies have the visibility and insights to effectively drive profitable growth. Get straight talk on how to automate your accounting and finance processes in the cloud to optimal results. Greater data insights with less hands-on effort is just one of cloud computing’s big draws. See how organizations taking the leap also reap more time—and more money—to spend on other business priorities. See how to produce data-rich reports that stakeholders find invaluable. Intuitive drag-and-drop report builders for web and Excel draw up-to-date data from Adaptive Planning and Adaptive Consolidation, so you're able to quickly produce financial, management, and board reports that better inform decisions. Learn tips for finance leaders in energy and utility companies about adapting to fluctuating customer demand and a changing regulatory environment. A case study of multinational utility company GDF Suez and a demonstration of Adaptive Insights software illustrate how efficient financial processes fuel strategic decision-making. Explore easy and efficient ways to incorporate rolling forecasts and continuous planning into your processes—without adding to an already full plate. Real-world examples and best practices illustrate ways to strategically wield real-time data for improving revenue, utilisation, and margins. See how energy and utility company finance teams are rethinking their planning processes to accurately forecast and maximise profitability based on changes in pricing, demand, and capacity. Get real-world examples of how they using rolling forecasts, even at the plant level, to be more strategic and reduce inefficiencies. Learn how healthcare finance teams leverage dynamic data to stay on top of issues related to personnel, profitability, government regulations, and patient care. Tips help to develop personnel plans, forecast through what-if scenarios, perform multi-dimensional analysis, and create customized executive reports more efficiently. Learn to replicate the success of top-performing data-driven financial services organizations. Find out the key financial metrics they use to push growth and profitability, and how to get started in the short and long term.